A magnitude 6.1 earthquake shook Osaka, Japan’s second-biggest metropolis, early on Monday, killing three people and injuring more than 200. The major quake has not yet been confirmed on USGS but if it is last night's quake will be the first major quake for 36 days which must be some kind of recent record. At least three people are feared dead after a strong earthquake shook the city of Osaka in western Japan on Monday morning. The Fire and Disaster Management Agency said one person had no heartbeat and wasn't breathing and a second person also had no vital signs. Japanese media reported one of the likely victims is a 9-year-old girl found at a school. 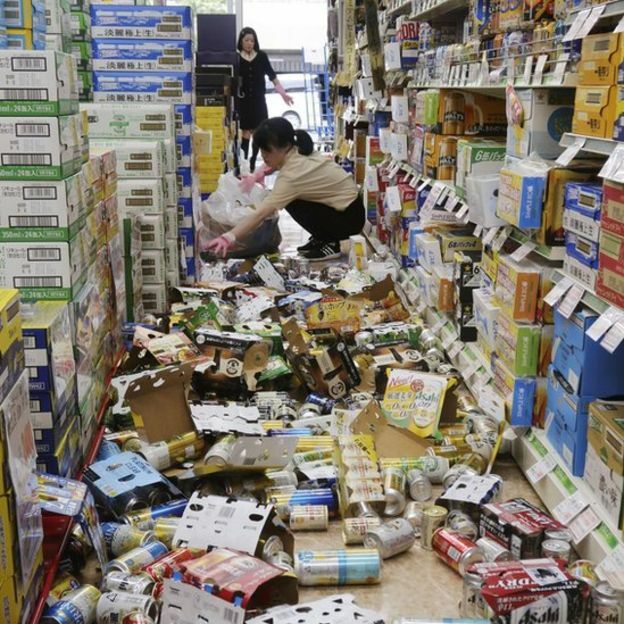 The quake, causing scattered damage including broken glass and partial building collapses, with a preliminary magnitude of 6.1 struck around 8 a.m. about 6 miles underground, the Japan Meteorological Agency said. The agency updated the quake's initial 5.9 magnitude. The strongest shaking unfolded in an area north of Osaka city, the agency said. The Japanese government had not received reports of major damage as of 8:30 a.m., spokesman Yoshihide Suga told reporters. Television images showed goods scattered on the floor of shops and building debris in streets. The morning commute was disrupted as train and subway service in the Osaka area including the bullet train was suspended to check for damage to equipment. 43 of the 44 major quakes this year have occurred during coronal activity on the sun. Last night's quake was the first major quake of June and the 44th of 2018 if confirmed by USGS.